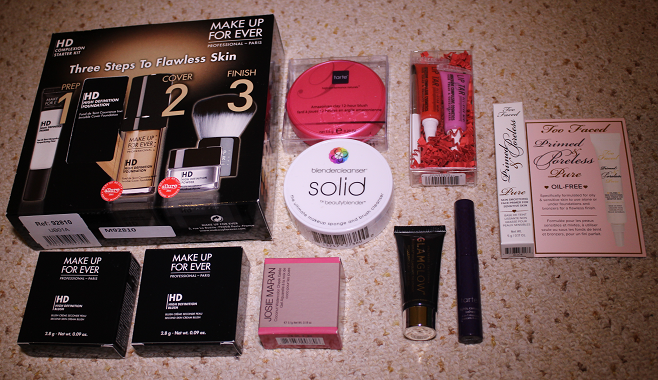 Yep, Sephora has only been selling to the UK for two weeks and I'm already on my second haul. How bad is that?! I just couldn't help myself and ended up seeing what other goodies I could get my hands on and an even more expensive order was placed. Hide all of my bank cards now please! If you want more information about shipping and custom charges on UK orders, please check out my first post as there's lots of info about that in there. 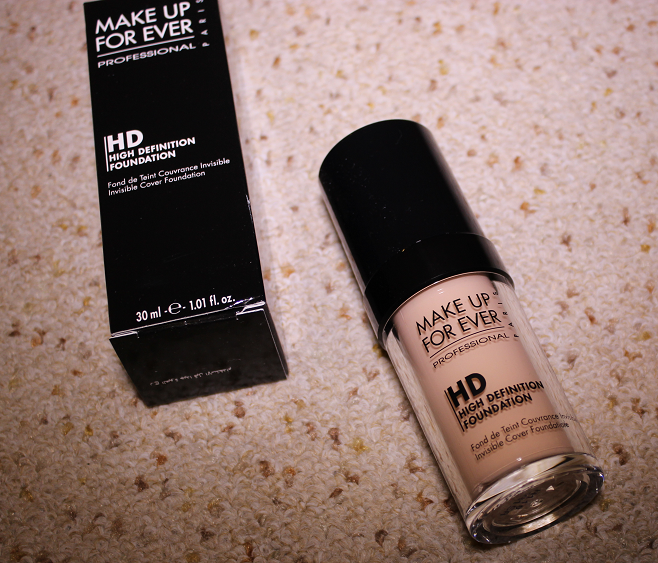 I'm not sure what's going on at the minute but I'm buying a lot of foundations. I went through a nail polish phase, then a lipstick phase, now I think it's foundations. I've bought around 6 new foundations lately. I'm not even an every day foundation wearer! 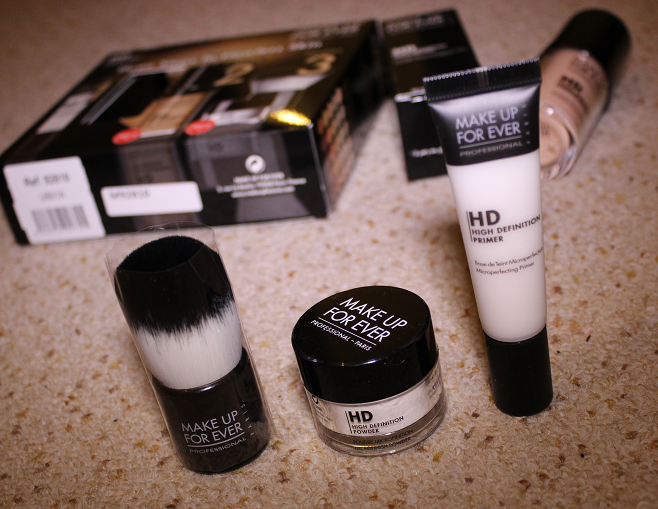 Anyway, I've heard good things about the Make Up For Ever HD Invisible Cover Foundation so I decided to buy that in the lightest shade, 110 (Pink Porcelain), and thought I may as well pick up the whole kit with the HD Microperfecting Primer, HD Microfinish Powder and HD Kabuki Brush in. 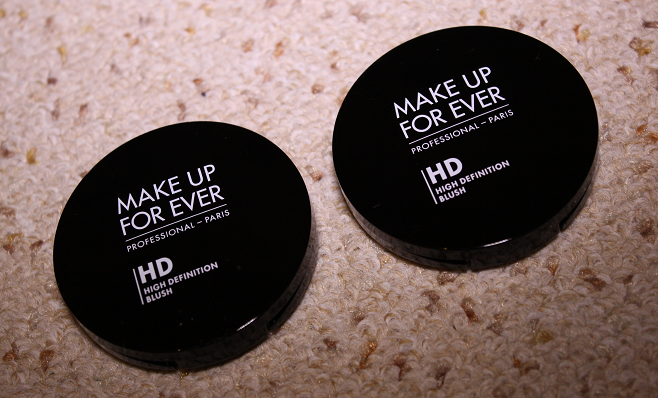 Hopefully these will have me looking flawless! 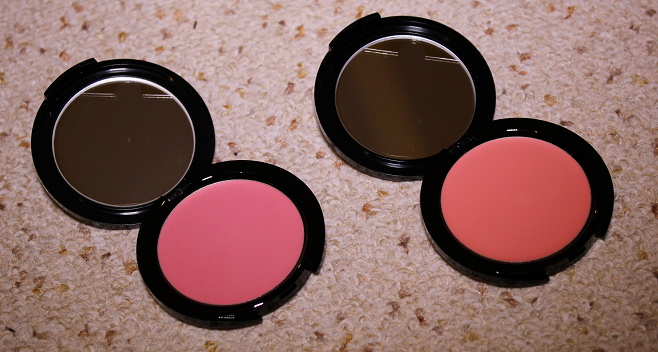 Carrying on the Make Up For Ever HD theme, I went for the HD Blushes in shades 210 (Cool Pink) and 215 (Flamingo Pink). I really liked the sound of these 'second skin' cream blushes so I did a little research on Temptalia and thought these colours looked great for a pop of natural looking colour. Without even trying my first Tarte Amazonian Clay Blush purchase, I decided to pick up another whilst making this order. This time I've gone for the shade Amused, a nice rosy pink shade (that looks a little too light/bright in my photo but looks more natural in real life!). 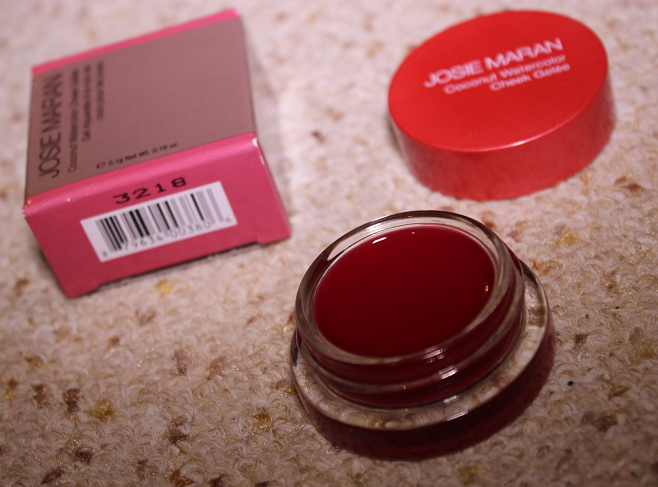 I was quite intrigued by the Josie Maran Coconut Watercolor Cheek Gelees so I bought one in the shade Pink Escape, a very dark raspberry shade. It will be quite interesting to see what the texture of this one is like. 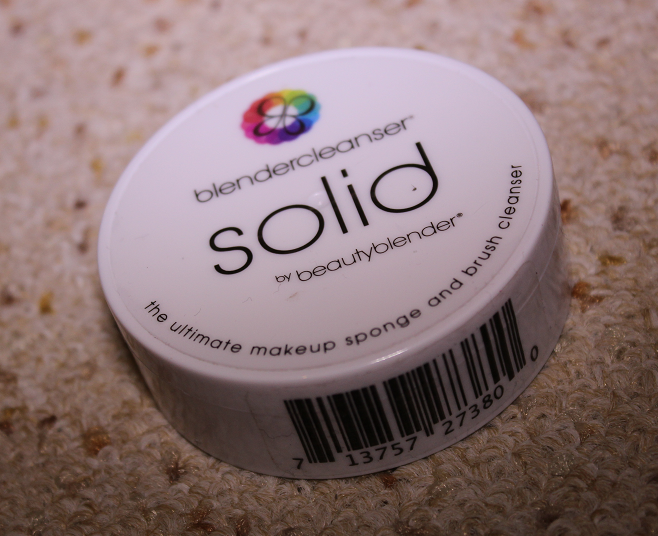 I've been looking for a decent brush cleanser and I saw the BlenderCleanser Solid in Anna's February Favourites so this must have stuck in my head and when I spotted it on the Sephora site I decided it could be a good choice. It's like a bar of soap that you can swirl your brush into and rinse away. It seems pretty fuss-free so I'm looking forward to using it. My last purchase was quite random and I think I spotted it as I was going through checkout and it was recommended to me. Probably in the way that they have little kits and travel size goodies next to the till in their stores to tempt you into making last minute purchases. It's the Obsessive Compulsive Cosmetics (OCC) Love Bites Duo. 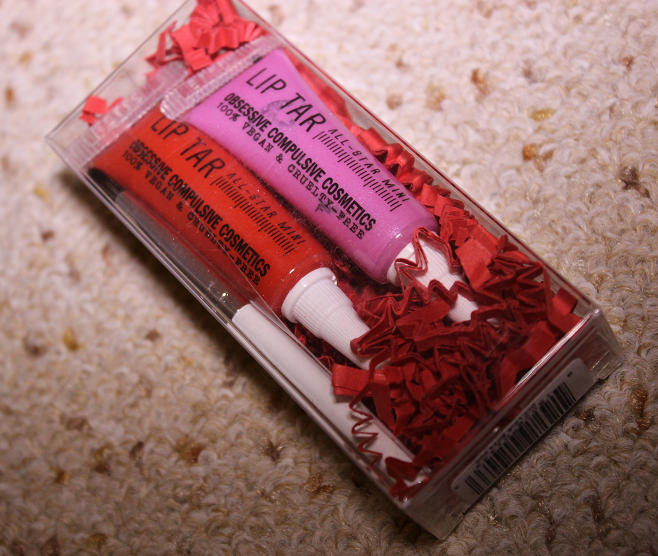 This seems to be out of stock on the site now but I thought it was a good way to try the Lip Tars for the first time. This cute kit contains minis of Psycho (bright red) and Lovecraft (shimmering pink-lilac) plus a little brush for neater applications. If Boots had more little kits like this over here I'd be well sucked in to buying them all! Haha. 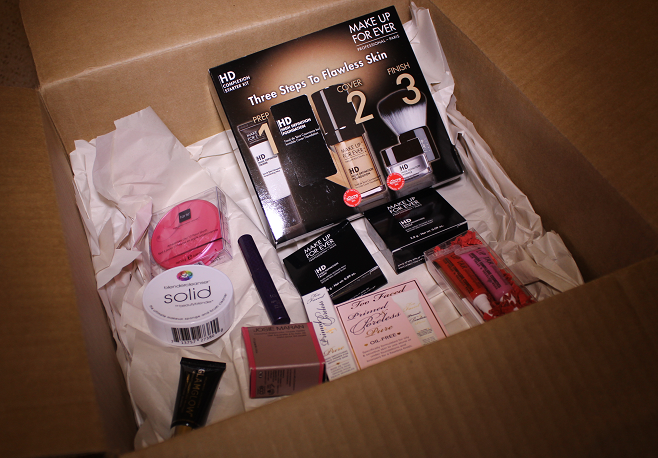 In my first haul I mentioned that I was restricted in terms of what I could order as Beauty Insider gifts but this time around I was able to get some free items. It looks as though they are always updating the range of free products which I think is fab. For 100 points each I was able to get generous samples of Too Faced Primed & Poreless Primer, Tarte Lights, Camera, Lashes! Mascara and GlamGlow YouthMud. In addition to any Beauty Insider treats, you can pick 3 samples with your order. These samples come in sachet form and again, the range seems to be frequently updated on the site. 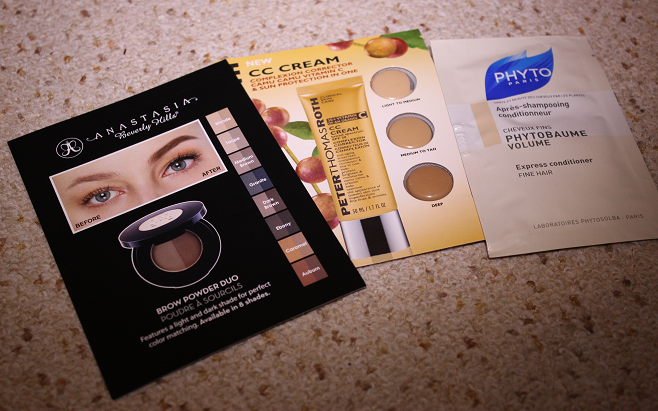 I chose the Anastasia Brow Powder Duo, Peter Thomas Roth CC Cream and another Phyto Phytobaume Volume Express Conditioner. Finally, I received a little perfume sample card with a swatch of Dolce & Gabbana Light Blue in. I used to love that fragrance so I'll be happy to reintroduce myself to it. Hope you enjoyed my haul! 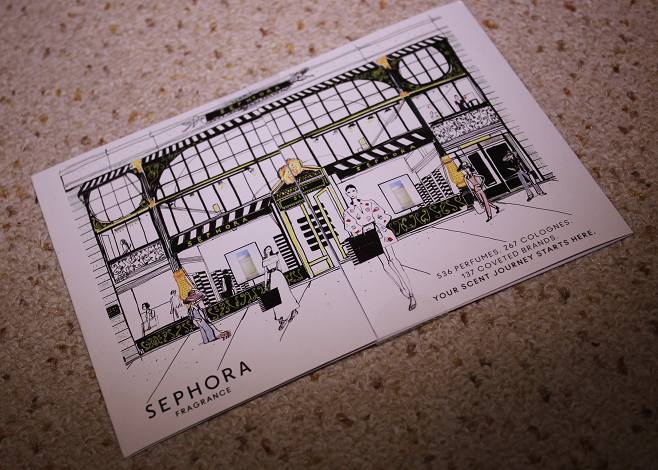 Have you ordered anything from Sephora? What an amazing haul! 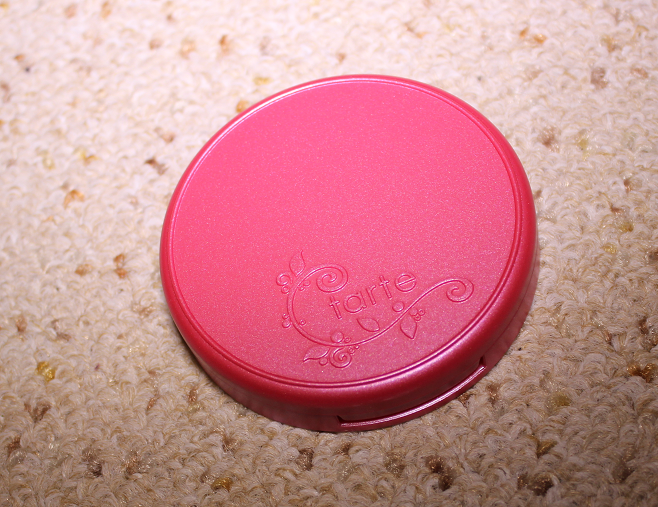 I can't wait until QVC starts stocking Tarte products so I can buy a few things. OMG! I wish I had that much money to just spend on makeup whenever I wanted! Haha. Great haul. 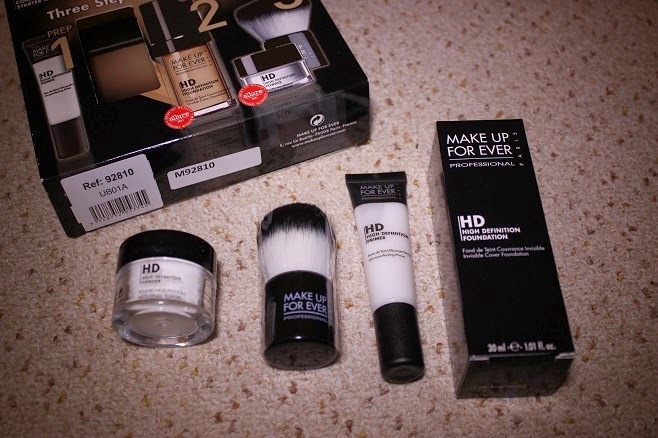 Ahh I'm dying to try that HD foundation! Great haul! Maybe I should be happy they don't ship to Oz because I would probably be ordering from them way too often :) Flamingo pink looks like a gorgeous blush. sephora is my favorite store ever! 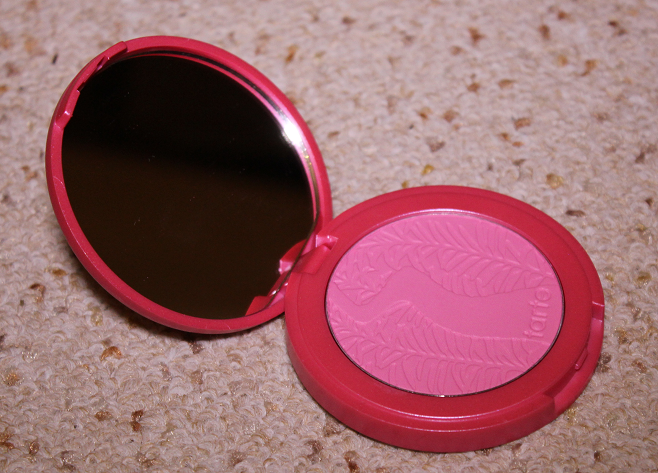 ive been wanting to try that josie maran blush for a while now! hope it works like a dream! you should do a review on it! what a great haul. I need a proper make up shopping spree too.